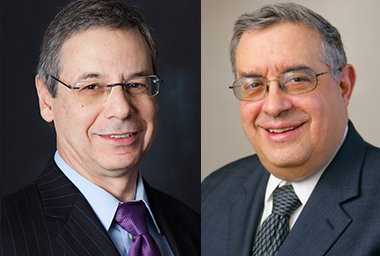 Yeshiva University’s Center for the Jewish Future (CJF) will present the spring installment of its Community Beit Midrash program beginning February 3 with a six-week series of talks by two distinguished members of YU’s faculty, Ambassador Danny Ayalon, Rennert Visiting Professor of Foreign Policy Studies, and Dr. David Shatz, University Professor of Philosophy, Ethics and Jewish Thought. The program is open to the community and runs for six consecutive Tuesdays at 215 Lexington Avenue, New York, NY 10016, on YU’s Israel Henry Beren Campus. Describing his upcoming lecture series, Shatz said, “I will try not only to explore Jewish law, but also to open windows to questions about human nature, ritual, self-sacrifice, suffering, prayer, autonomy, and secular ethics—questions that I think are highly relevant to our time and place. “The initiative provides a wonderful bridge between university and community,” he added. For more information or to register for the Community Beit Midrash, visit www.yu.edu/beitmidrash.